The age of human rights has been kindest to the rich. Even as state violations of political rights garnered unprecedented attention due to human rights campaigns, a commitment to material equality disappeared. In its place, market fundamentalism has emerged as the dominant force in national and global economies. 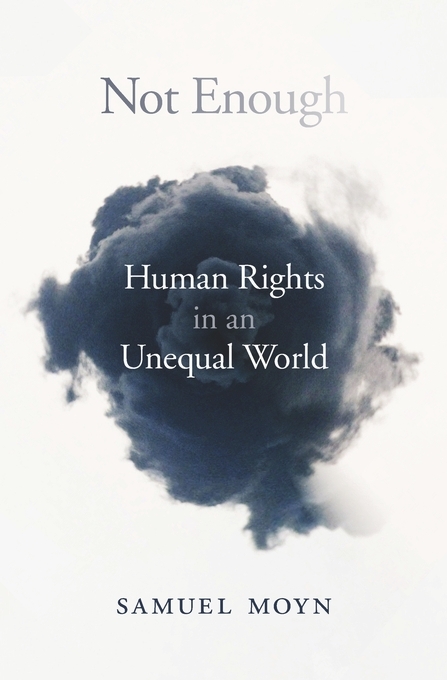 In this provocative book, Samuel Moyn analyzes how and why we chose to make human rights our highest ideals while simultaneously neglecting the demands of a broader social and economic justice. In a pioneering history of rights stretching back to the Bible, Not Enough charts how twentieth-century welfare states, concerned about both abject poverty and soaring wealth, resolved to fulfill their citizens’ most basic needs without forgetting to contain how much the rich could tower over the rest. In the wake of two world wars and the collapse of empires, new states tried to take welfare beyond its original European and American homelands and went so far as to challenge inequality on a global scale. But their plans were foiled as a neoliberal faith in markets triumphed instead. Moyn places the career of the human rights movement in relation to this disturbing shift from the egalitarian politics of yesterday to the neoliberal globalization of today. Exploring why the rise of human rights has occurred alongside enduring and exploding inequality, and why activists came to seek remedies for indigence without challenging wealth, Not Enough calls for more ambitious ideals and movements to achieve a humane and equitable world. Listen to Moyn explain the relationship between human rights and neoliberalism on WNUR (Chicago)’s This Is Hell!